Everyone knows that SEO or search engine optimization is critical for a website to be visible in organic search rankings. 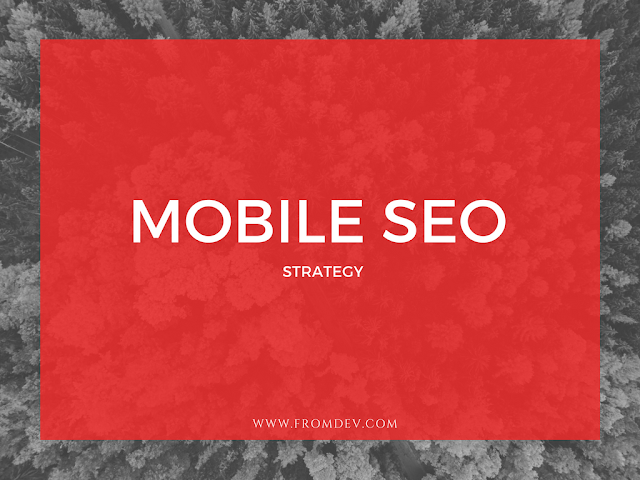 But with the advent of smartphones and with more and more people using mobile phones for finding information it is but natural that mobile SEO should be part of your SEO strategy. However, before embarking on your mobile SEO plan, you need to ensure that your website is mobile friendly. Google has come out with an algorithm known as the mobile algorithm last year. If you search on your laptop, and if you search on your mobile you can find the difference in the search results. Since more and more people are using mobiles, Google has also started stressing the need to provide best results. Google has also launched AMP or Accelerated Mobile Pages which will help in increasing your results on mobiles, but it is for news websites and such right now and not for all. Local SEO is also being given a boost due to mobile usage. Google tends to show more local results on mobiles as it is deemed to be more useful for the people searching. So get your website not just optimized for mobile but also ensure that it is visible in local search results. The important point is that you should also continue with your organic SEO strategy too. If you have high-quality content, along with an optimized website for both organic and mobile, it will be beneficial for you. If your site is not indexed in organic searches, then there is no point in optimizing your mobile website. Another important aspect regarding mobile SEO is that you need to research the keywords well. If you think that you would be anyway doing this for your organic SEO plan, you need to understand that keywords for mobile SEO are different. People using cell phones frequently search using questions rather than just keywords which are the norm in regular searches. So you need to optimize your website for keywords which you think people would use when they visit your site using a smartphone. We have also compiled a huge list of SEO tips and tricks infographic on our Pinterest channel here. Many companies will help in your search engine optimization plan, but you need to ensure that the business that you choose does mobile SEO also. SEO is an on-going strategy, and you should hire a company that is well versed in the same. If you check google, you will find many businesses, but before selecting one check if the company has been in existence for a long time, also check if there are any references. Contact the references and check if they have been satisfied with the work done. If you are satisfied with the answers, and if you get a good SEO quote for the work, then and only then you should hire them. Companies like SEO Services USA will assist you in not just organic SEO but mobile SEO too. They will also provide a social media strategy so that all bases are covered and you start ranking on search engines.